Robert Andrews Millikan was born in Morrison, Illinois, on 22 March 1868. Raised in Maquoketa, Iowa, where his family moved in 1875, young Millikan enjoyed a storybook Midwestern American boyhood of fishing and farming, learning next to nothing about science. In 1886 he enrolled in the preparatory department of Oberlin College and, in 1887, in the classical course of the college itself. Mainly because he did quite well in Greek, at the end of his sophomore year he was asked to teach an introductory physics class. It was Millikan’s introduction to the subject that would become his career. Millikan graduated from Oberlin in 1891 and continued to teach physics to the preparatory students while successfully pursuing a course of self-instruction in Silvanus P. Thomson's Dynamic Electric Machinery. Awarded an M.A. for this achievement in 1893, Millikan entered Columbia University on a fellowship as the sole graduate student in physics. He was impressed by the lectures of Michael Pupin, who emphasized the importance of mathematical techniques, and by the experimental deftness of Michelson, under whom he studied at the University of Chicago in the summer of 1894. Receiving his Ph.D. in from Columbia in 1895, Millikan went to Europe for postgraduate study, financed by a loan from Pupin. He heard Poincaré lecture at Paris, took a course from Planck at Berlin, and did research with Nernst at Göttingen. In 1896, Millikan returned to the University of Chicago and began teaching. By 1910 he was a professor, a post he held until 1921. As early as 1909 Millikan was deeply involved in attempts to measure the electronic charge, providing the most persuasive evidence yet that electrons were fundamental particles of identical charge and mass. In 1913 he published the value for the electronic charge, 4.774 + .009 x 10-1 11 e.s.u., which would serve the world of science for a generation. Off and on all the while, Millikan had also explored the photoelectric effect. Aware of Einstein's interpretation of it, about 1912 Millikan began an intensive experimental study of the phenomenon. By 1915, as the result of these meticulous investigations, he had confirmed the validity of Einstein's equation in every detail. Despite the conclusiveness of these results, Millikan did not believe that he had confirmed Einstein's theory of light quanta but only his equation for the photoeffect. In the face of all the evidence for the wave nature of light, he was convinced, as were most other physicists of the day, that the equation had to be based on a false, albeit evidently quite fruitful, hypothesis. By 1916, when Millikan completed his major work on the photoeffect, he had already assumed more than a mere professor's role in the world of science. In 1913 he became a consultant to the research department of Western Electric, primarily to advise the company on vacuum tube problems. In 1914 he was elected to the American Philosophical Society and the American Academy of Arts and Sciences, in 1915 to the National Academy of Sciences, and in 1916 to the presidency of the American Physical Society, an office which he held for two years. Millikan also served as an associate editor of Physical Review from 1903 to 1916; and he was made an editor of Proceedings of the National Academy of Sciences which was started in the year of his election. Early in 1917, after the United States broke diplomatic relations with Germany, Millikan went to Washington as a vice-chairman and director of research for the National Research Council, the organization which the National Academy of Sciences had recently created to help mobilize science for defense. Commissioned a lieutenant colonel in the Army Signal Corps, he served in his military capacity as the director of the Signal Corps Division of Science and Research and, in his National Research Council identity, as a member of the U.S. Navy's Special Board on Antisubmarine Devices. After a brief postwar period back at Chicago, in 1921 Millikan accepted appointment as chairman of the executive council and director of the Norman Bridge Laboratory at the newly renamed California Institute of Technology in Pasadena. In effect the president of the school, he was an able fund raiser and its enthusiastic spokesman; and under his leadership it quickly developed into one of the most distinguished scientific centers in the world. Millikan maintained an active research career throughout the interwar years. Together with Ira Bowen, a Caltech graduate student, he embarked upon a thorough study of the ultraviolet spectra of the lighter elements up to copper. By 1924 they had found and identified some 1,000 new lines. They had also extended the observable spectrum down to 136.6 A and had helped to close the last gap between the optical and the X-ray frequencies. In the 1920's Millikan also began an increasingly intensive program of research into the penetrating radiation which in mid-decade he would name "cosmic rays." Employing a photonic interpretation of cosmic rays, Millikan developed a theory of their origin in 1928, the "atom-building hypothesis." In his summary of the argument, cosmic rays were the "birth cries" of atoms, a phrase which quickly achieved a good deal of notoriety among both the scientific and the lay publics. Although in the late 1920's most physicists agreed with Millikan that cosmic rays were photons, few accepted his atom-building hypothesis. At the beginning of the 1930's, Millikan's assumption that the primary radiation consisted of photons was also challenged, and finally refuted by the work of Arthur Compton. Although Millikan had rejected his atom-building hypothesis by 1935, he clung tenaciously to the assumption that some fraction of the primary cosmic radiation could be photons, and developed a new theory that cosmic ray photons originated in the spontaneous annihilation of atoms in interstellar space. No more convincing than its predecessor, this hypothesis became completely untenable, as Millikan himself admitted a few years before his death, after the detection of the p-meson in 1947 made it clear that the primary cosmic radiation consisted almost entirely of protons. Millikan left his post as professor and chairman at Caltech in 1946. His academic writings and co-authorships include a variety of work, including textbooks. These include: A College Course in Physics, with S.W. Stratton (1898); Mechanics, Molecular Physics, and Heat (1902); The Theory of Optics, with C.R. Mann (1903); A First Course in Physics, with H.G. Gale (1906); A Laboratory Course in Physics for Secondary Schools, with H.G. Gale (1907); Electricity, Sound, and Light, with J. Mills (1908); Practical Physics - revision of A First Course (1920); The Electron (1917; rev. eds. 1924, 1935, and a 1947 revision entitled Electrons (+ and –), Protons, Photons, Neutrons, Mesotrons, and Cosmic Rays). He also wrote beyond the pure realm of science, into the intersection of science with philosophy and religion. His writings in this vein include: Science and Life (1924); Evolution in Science and Religion (1927); Science and the New Civilization (1930); Time, Matter, and Values (1932). In 1950, only a few years before his death, he published his Autobiography. 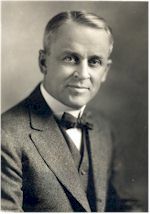 Robert Millikan won the American Institute of Electrical Engineers (AIEE) Edison Medal in 1922 "For his experimental work in electrical science." His winning of the Nobel Prize in 1923 made him one of the most famous American scientists of his day. In 1946 he retired from his professorship and chairmanship at Caltech. He remained active as a public lecturer and spoke frequently on the subject of science and religion. By the time of his death, on 19 December 1953, Millikan had been awarded numerous medals, even more honorary degrees, and membership in twenty-one foreign scientific societies, including the Royal Society of London and the lnstitut de France. Millikan Oil Drop Experiment - Julian Rubin ed. This page was last edited on 24 February 2016, at 20:20.